We’re Not Airing “Live” Tonight But Your Conversations Can Go On! Although there is “No Live Show” tonight you can keep the conversation going regarding today’s event, one being the passing of Charlie Murphy. The news of his passing broke my heart. His memory will be forever etched with laughter, for he was one of a kind. Tune in next week, for our special guest R&B crooner Freddie Jackson. See you all then, have a wonderful week and an awesome holiday weekend. My brother Timmy turned me onto Prince my freshman year in college and it has been a purple oasis for me ever since. The petite singer known as “Prince” passed away today at 9:43 a.m. as paramedics were called to his home in Paisley Park, Minnesota for a medical emergency. It is rumored that the singer actually had HIV however, his Rep told Entertainment Weekly on Friday afternoon, the singer was battling a bad bout of the Flu. The singer suffered from flu-like symptoms that forced him to cancel 2 concerts in Atlanta last week. 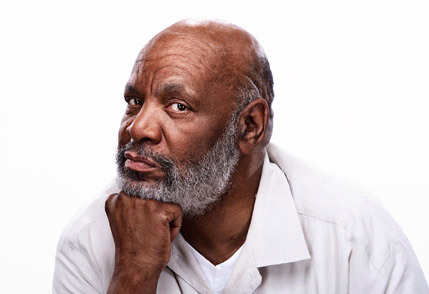 Fresh Prince of Bel Air star James Avery passed away in a Glendale, CA hospital on New Years eve. Avery suffered complications from open heart surgery he had in November, he was 68. Avery, who stood more than 6 feet tall, played the family patriarch who was a wealthy attorney and judge on the popular TV comedy that launched the acting career of Will Smith as Banks’ troublemaking nephew. He is survived by his wife, Barbara, and stepson Kevin Waters.